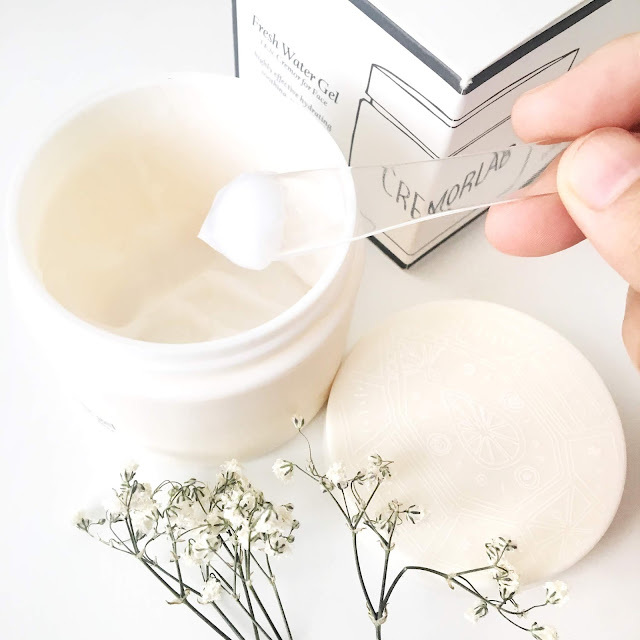 Today I want to talk about two k-beauty products that I've been using from Cremorlab. Since I change my skincare routine and substitute them quite frequently, it took me a long time to give my feedback on these two products but well, better late then never right? A brand which I first discovered through MUSE by Watsons (now available in selected Watsons store), one of their star range is known as Cremorlab T.E.N which focuses on the use of thermal water in their products, sourced 1100 metre underground from hot spring area in Geumjin, Gangwondo, South Korea. 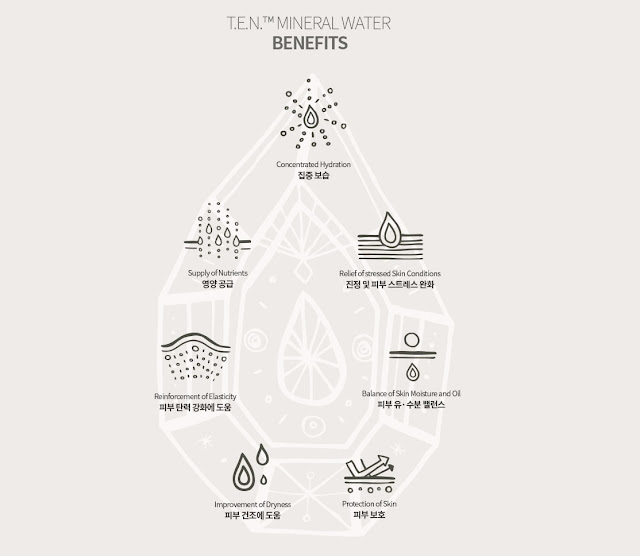 Formed by the crustal movement in the Permian period of the Palaeozoic era, the thermal water contains energy from the ancient, pollution-free and stress-free environment, and features high mineral content making it an amazing ingredient for maintaining a healthy skin. I really love their packaging, it's so simple yet elegant; probably under my top five favourite of minimal skincare packaging that I've seen before. 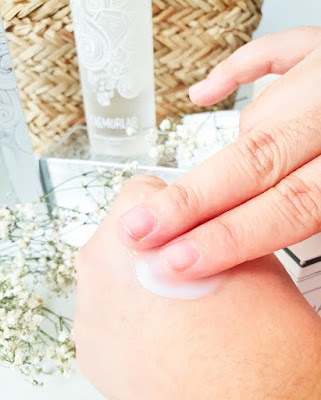 It was one of the firsts 'gel to water' moisturiser that I've ever tried and definitely one of my favourites as well. The product is really hydrating and to be honest on my super lazy day where I can't be bothered to even do a complete basic skincare routine, I'll just apply a generous amount of it on my skin and went to sleep (I know you have one of those days too lol). It's very lightweight which is the number one reason why I love this! In the past, my room was not air-conditioned so I really hate any kind of creamy, thick and heavy type of moisturiser. 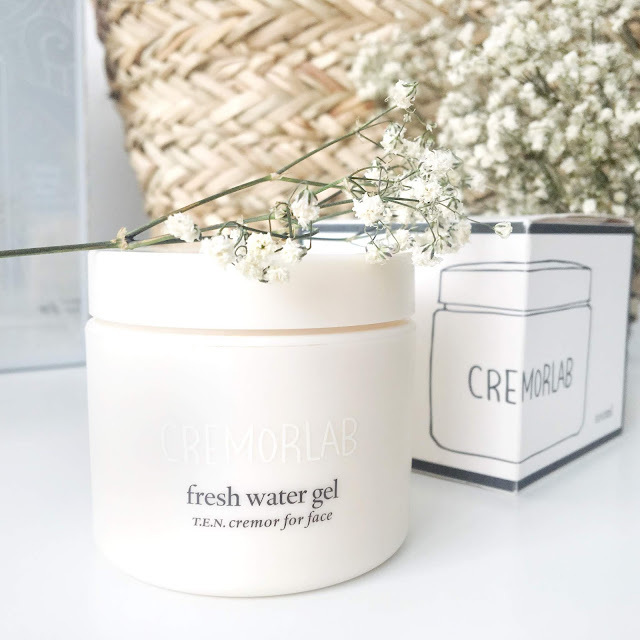 The CREMORLAB T.E.N Fresh Water Gel is perfect for me as it got absorbed pretty quickly and doesn't leave any sticky feeling. It also contains Bulgarian Rose oil, which is good to calm down irritated skin. And mine; being dry and rough is definitely a sign of an angry skin. I notice that there is a decent reduction in redness on my skin after application as well. This product also doesn't contain any paraben, artificial colours, artificial fragrance nor mineral oil. Looking at the ingredient list, it also contains Glycyrrhiza Glabra (or Licorice) Root Extract which is known to also be good for acne-fighting and brightening. Although so far, upon using there is not much brightening effect that I can see on my skin. Maybe I am just dull HAHAHA (just kidding). 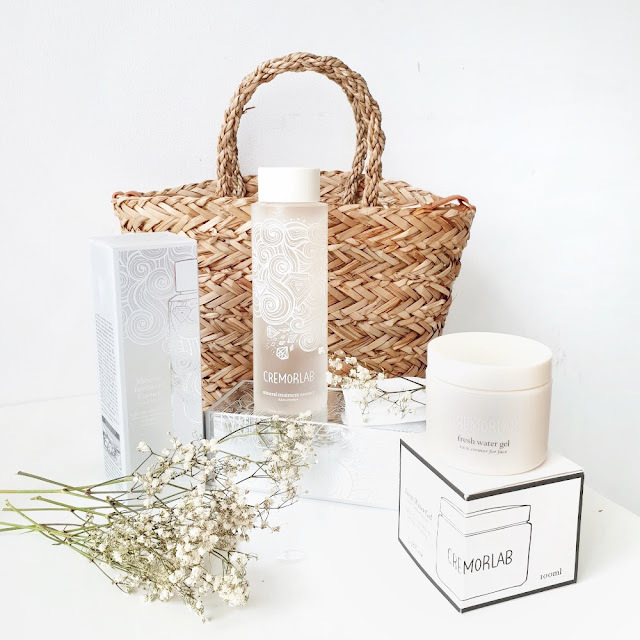 Another beautiful packaging from Cremorlab, this CREMORLAB T.E.N Mineral Treatment Essence claims to help in moisturising, pore care, evening out skin texture, reducing wrinkles, and providing a whitening (radiance) effect on the skin. While the effects are not shown immediately on certain claims, I would say that it does give a decent hydration effect while calming my skin down. The skin felt softer and less 'textured' as well. The use of Niacinamide in it was one of the appeals of this Mineral Treatment Essence to me, but since I haven't been using it as much and as often as the Fresh Water Gel, I can't vouch much on the whitening and wrinkle care benefit that comes with it (but there is a slight glow on my skin after using it). I'll continue to use and finish up the bottle and maybe I'll be able to come back and update you on this. I do notice a slight reduction in overall pore size though, but not so significant. Comes in a 270ml bottle, the generous amount would last you quite a long time. I like to use this essence by pouring it on my hands and gently patting them dry onto the face but you can also use a cotton pad if you prefer it to be that way. Maybe it's my #Asian mentality, I can't help but think that using cotton pads is just a waste of product. LOL. Anyhoo, like the CREMORLAB T.E.N Fresh Water Gel, I don't find this essence to be sticky on the skin too so I really think this range would be suitable for those living in a hot and humid weather. 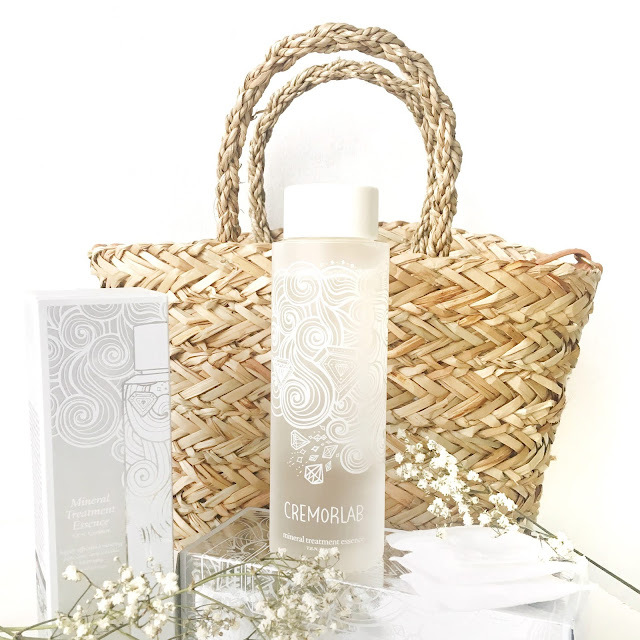 P/S: I've also managed to try out the CREMORLAB Mineral Water Mist before but didn't manage to snap any picture of it. It's pretty good and hydrating as well. Comes in a pretty small bottle 120ml so it's easy to carry + the spray nozzle is really great. It's the time that spritz out fine mist and covers a larger area. You might want to check those too. Hi Anis!! 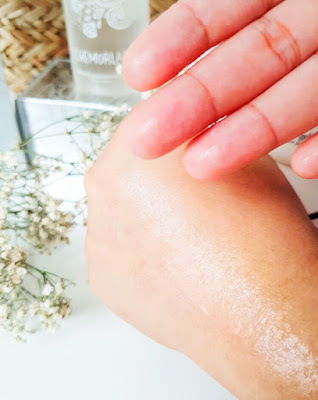 Lovely blog post^^ So tempted to purchase both water-gel and essence after reading your post. Will check them out at Watson store soon! Thanks for dropping by! Yeah I would especially recommend the Water Gel because its really lightweight so perfect for day use. Got it ;) Thanks Anis!